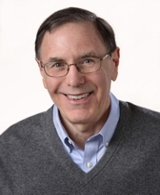 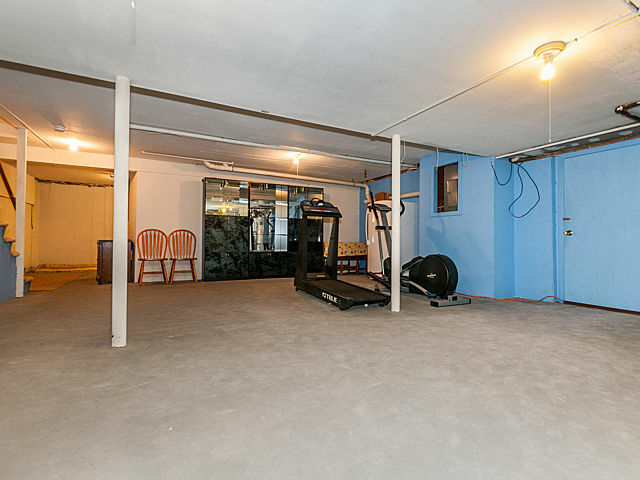 SOLD by Warren! 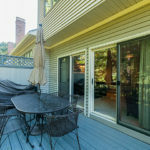 1 Applewood Lane, is an inviting end unit for sale at the highly desirable Chestnut Ridge I Condominiums in Franklin, MA. 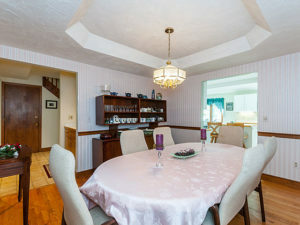 The asking price was $339,900. 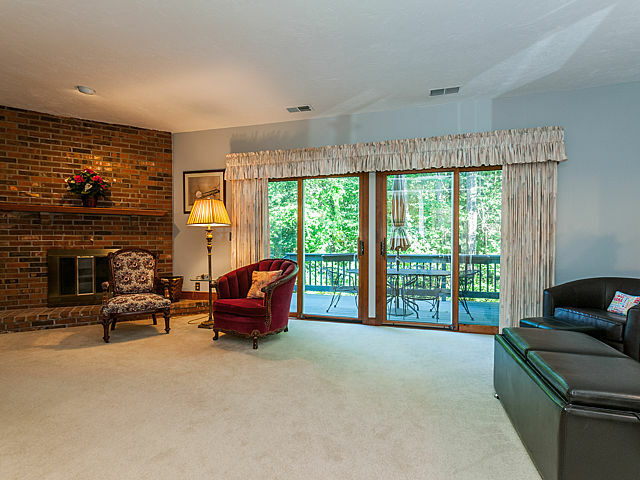 This townhome is available to all; no age 55+ restrictions here! 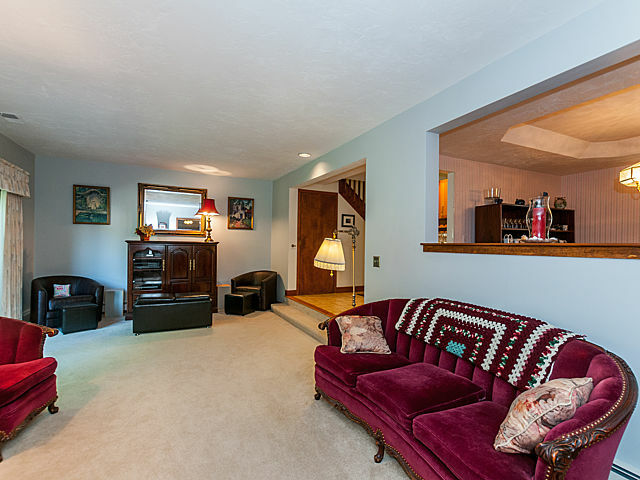 Contact listing agent Warren Reynolds to get inside this great townhome! 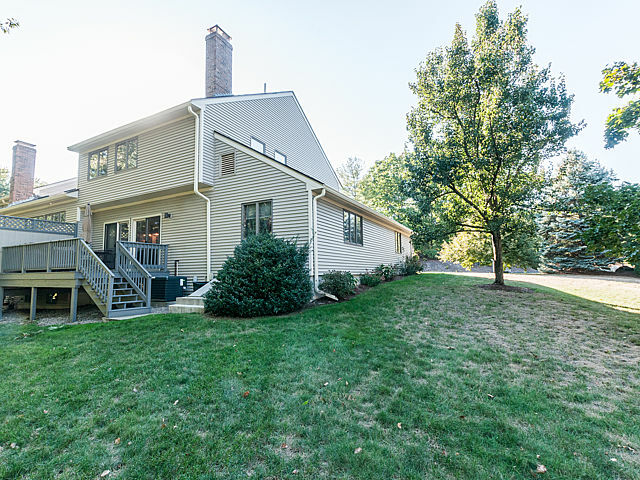 Click or tap the hotlink in the image below to access a highly useful, cutting edge high tech interactive floor plan for 1 Applewood Lane in the award winning Town of Franklin, Massachusetts. 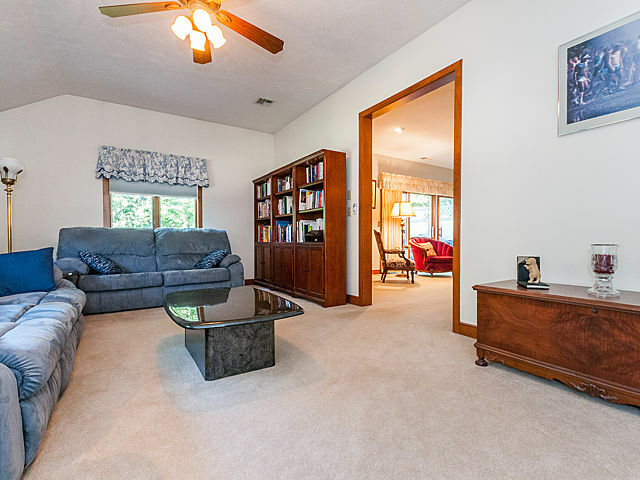 This is more than just a floor plan! 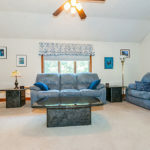 You can of course view photos and take a video tour, but what sets this floor plan apart is the feature that allows you to size and place furniture pieces right into the rooms. 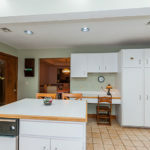 Click/tap on the “Furniture” tab: You can experiment with your existing furniture pieces, plan future furniture purchases and see exactly how the home will accommodate your possessions! 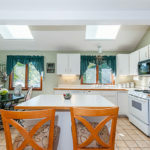 The sunny and bright tile kitchen is 18 Ft X 13 Ft and boasts a center island, vaulted ceiling with skylights, and spacious dining area. 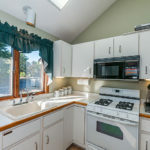 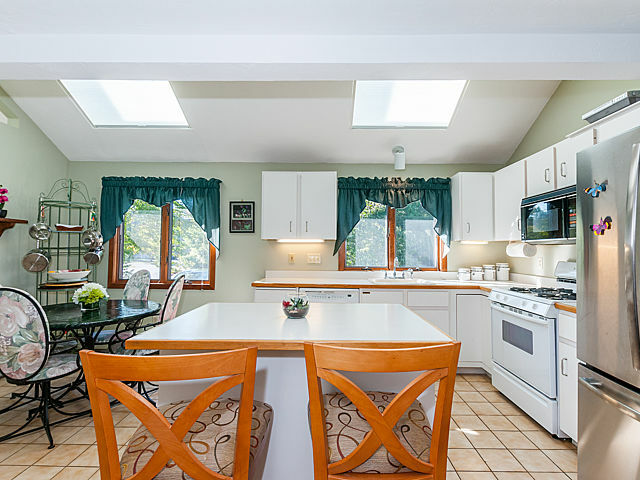 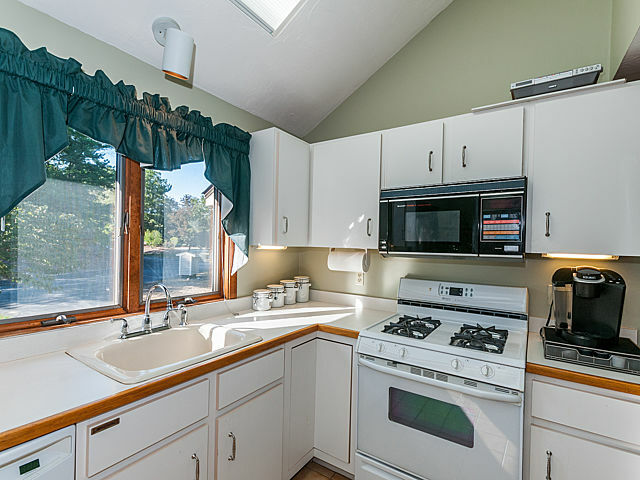 The kitchen opens to a 13 ft X 12 ft hardwood dining room with tray ceiling. 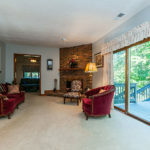 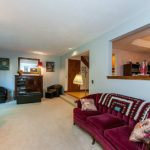 A 24 ft x 14 living room with grand floor to ceiling brick fireplace is a wonderful space for formal entertaining, family get togethers or just relaxing. 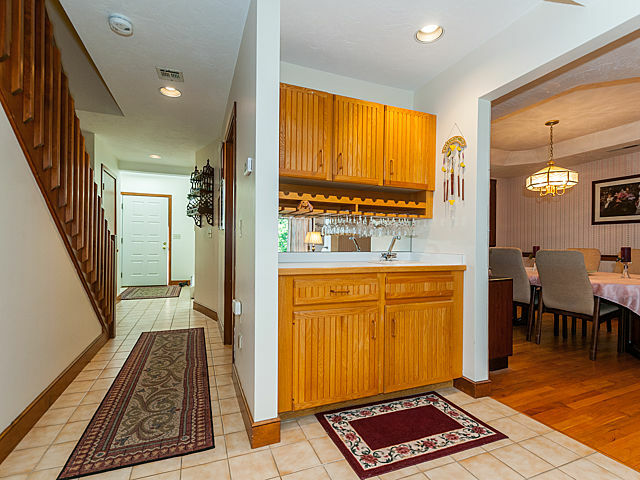 You’ll love the attractive wet bar with wine rack and glass holder! 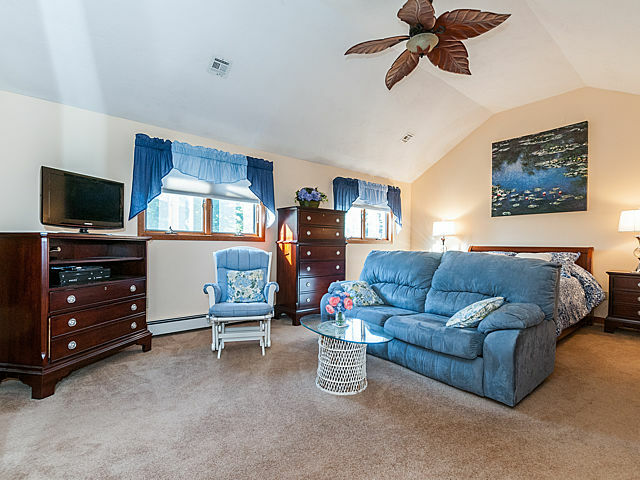 First floor family room a valuable extra! 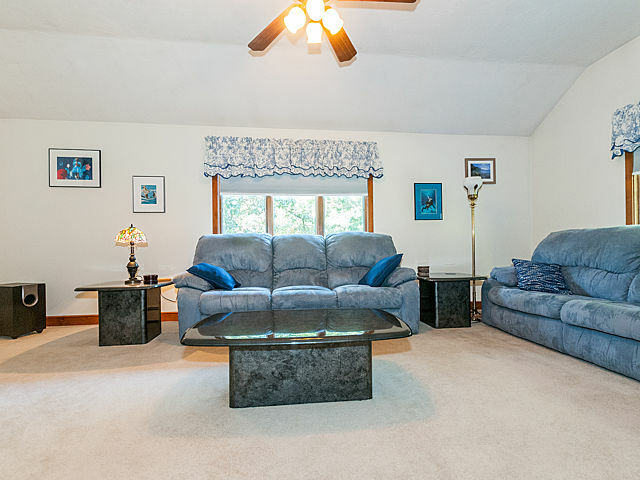 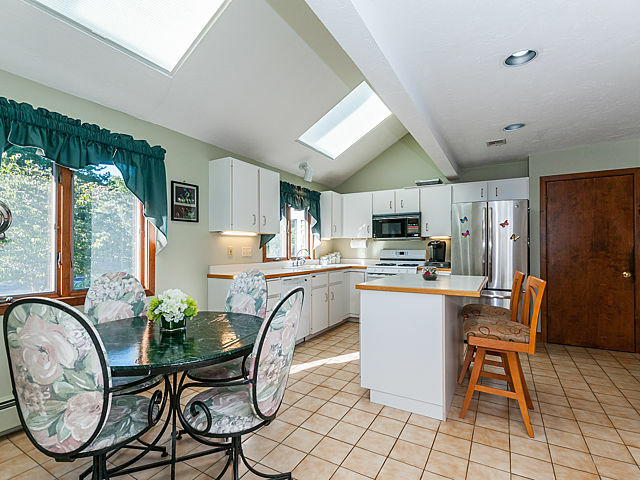 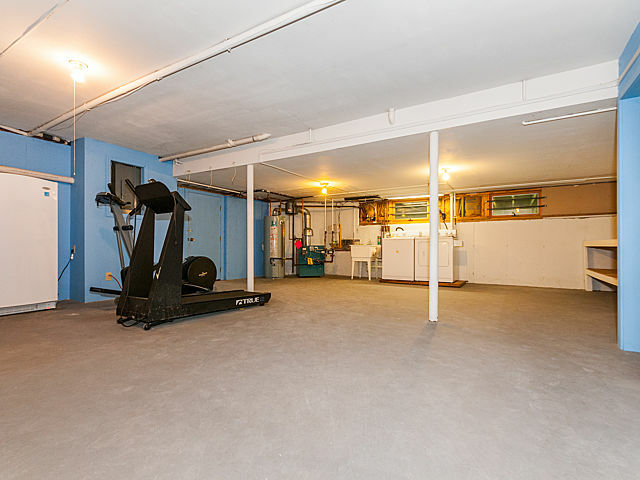 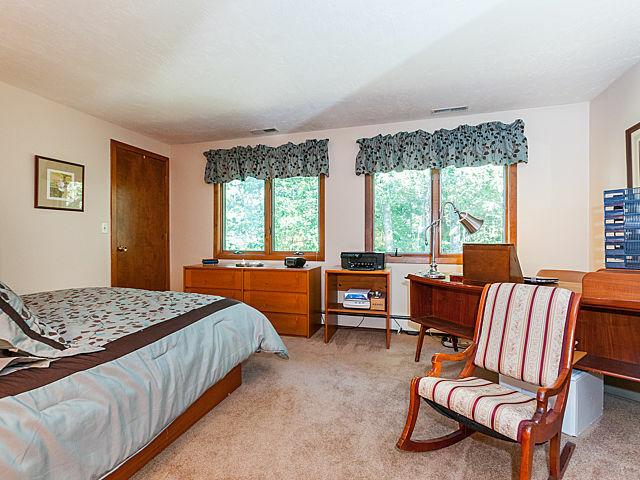 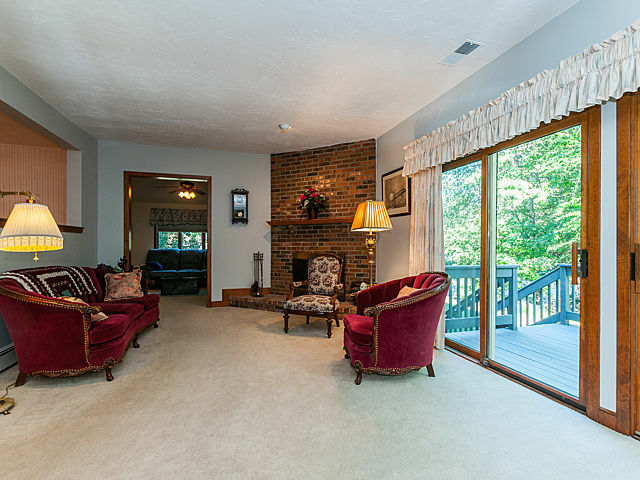 1 Applewood Lane offers the additional bonus of a vaulted family room on the first floor. 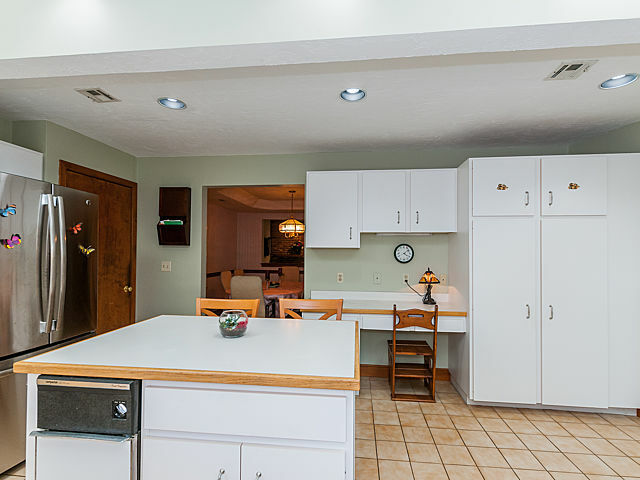 This space greatly enhances the floor plan, allowing it to accommodate a variety of uses. 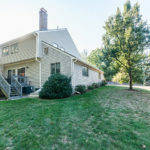 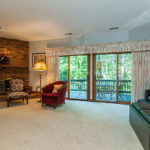 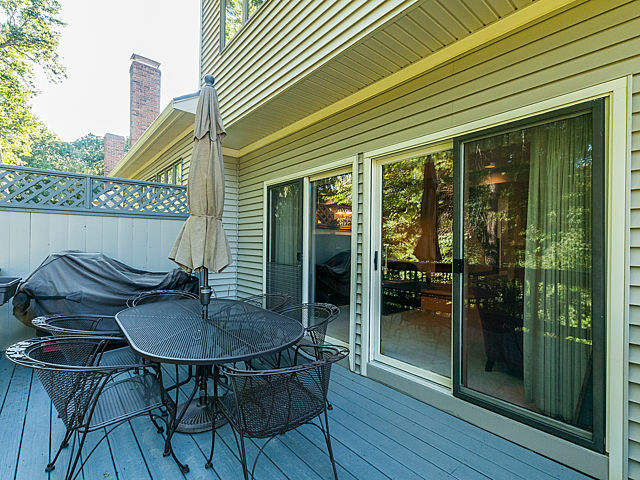 Double sliders open to a 17 ft X 10 ft deck providing privacy and pleasant wooded views. 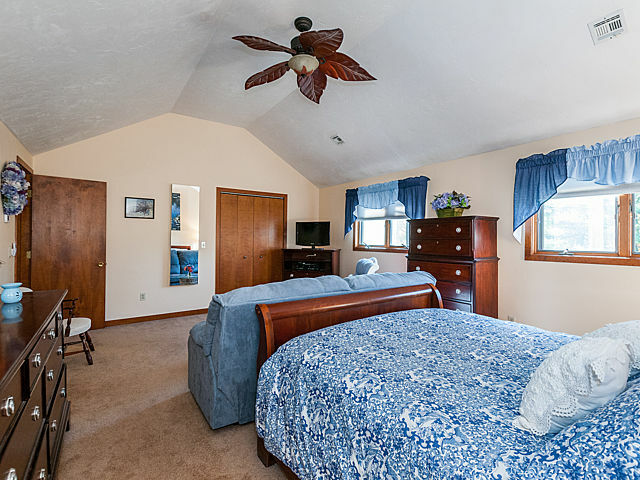 On the second floor you’ll find two generous bedrooms, each with its own full bath. 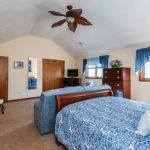 The 20 ft x 15 ft master bedroom sports a soaring cathedral ceiling, two large closets (1 walk in), and paddle fan. 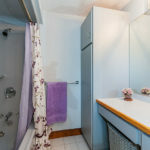 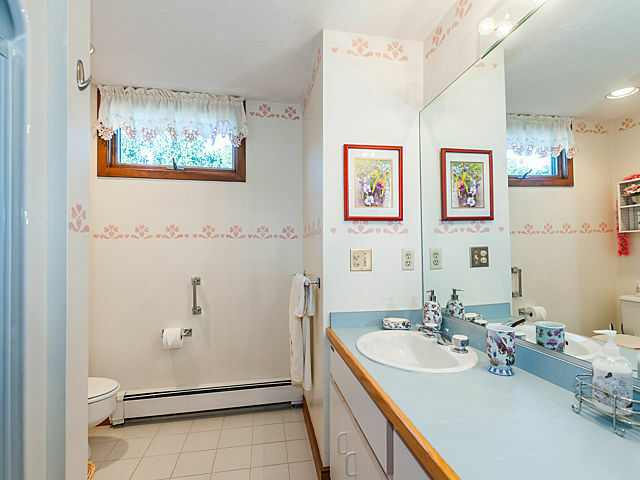 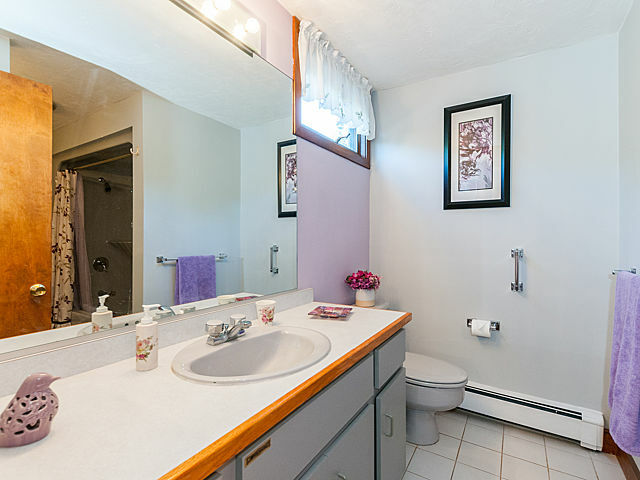 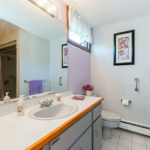 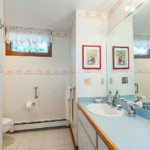 The master bath has a jetted combination tub and shower, and a built in dressing table! 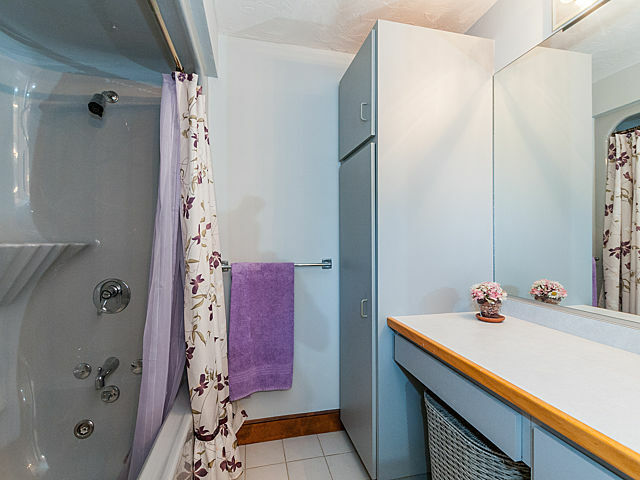 The second bedroom is 16 ft X 13 ft and offers its own tile bath. 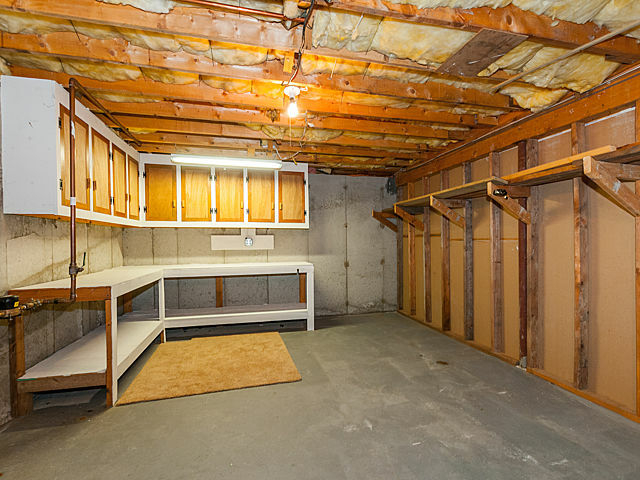 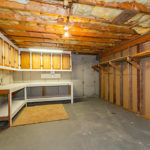 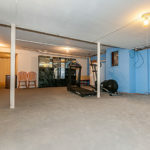 The full basement makes this townhome function like a single family home! 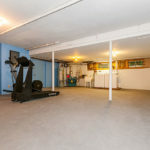 It has a handy workshop, a separate storage room and a huge 38 ft X 24 ft open area; ideal for exercise equipment or a rec room! 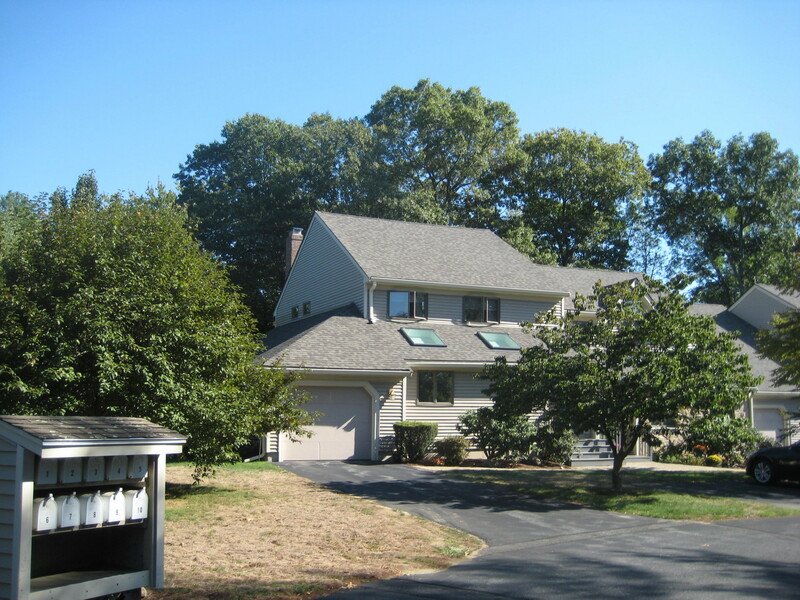 1 Applewood Lane also features an attached garage, recent roof, vinyl siding, town sewer and water, central air. 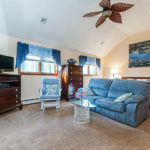 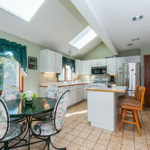 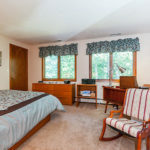 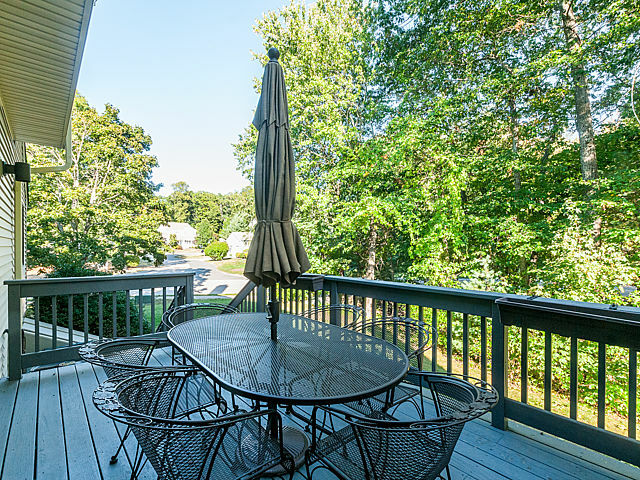 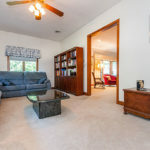 The Chestnut Ridge Condominium enjoys a prime location in Franklin, Massachusetts near shopping and services (including Big Y, Shaws, Walgreens), commuter rail and I-495. 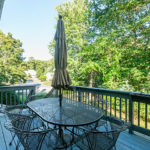 Contact listing agent Warren Reynolds for more information!